We are flying today to see my grandma and family in New Mexico! I am so excited! It’s been a long time since I’ve been back and I am looking forward to seeing my family. I’m excited to show Jordan where I grew up and show my girls the balloon fiesta. I will have pictures to post after our trip, I promise. I do have some older pictures of Ava that I took at the end of the summer. I think they’re still cute, so I will post these for my Friday Picture of the week. I originally took these during the “childhood” theme week. Which reminds me, picture of the week has restarted, yay! This week’s theme was “an interesting object” and I will blog about it when I return from our trip. 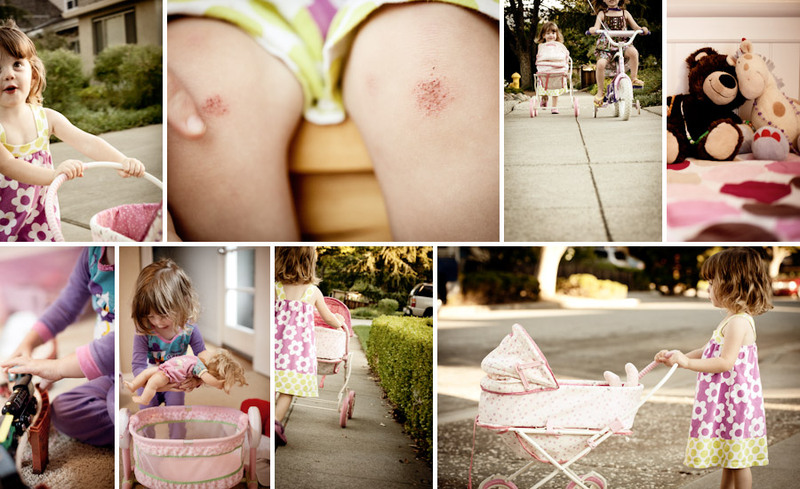 Robin- I love the picture of Ava’s knees… it screams childhood. Totally made my day! Love love love the Ava pics. I heart her knees. The epitome of childhood.